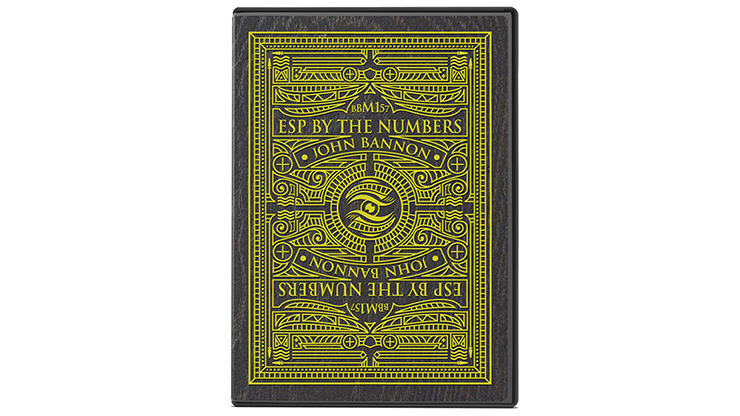 Today, when you order "ESP By The Numbers (Gimmicks and Online Instructions) by John Bannon", you'll instantly be emailed a Penguin Magic gift certificate. You can spend it on anything you like at Penguin, just like cash. Just complete your order as normal, and within seconds you'll get an email with your gift certificate. Truthfully, I didn't know what I was getting into when I purchased this I really loved the video and the trailer. Reactions like that are the ones everyone wants. I have many gaff decks with ESP cards however I had no idea what they really did but I of course know all magicians use them for different kinds of things. What you get from this purchase is a beautiful jewelry like crafted box with special cards to perform everything you see in the trailer. This is exactly a product I would normally tell others this is a "What you See is what you Get" kinda trick. There is nothing edited or hidden, nothing extra you need to provide. Everything you need is in this beautiful little box that you can take everywhere you go. John and Liam do a great job in this video, not only is it a short video which I would say is a perfect length about 25 minutes or so but when you open the box of cards you will see that it is so genius that within three minutes of watching the video if you have not figured out just by looking at the cards how this works you will figure it out within those three minutes. Everyone is different but for me I learn differently and I was surprised how fast I learned this because I'm pretty slow with most things. I was blown away at how self working this is. 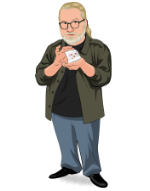 Of course you have to do the work and the presentation is everything but because of how the cards are made the Magic does a lot for you, don't be fooled because if you don't have a good presentation , You're not gonna have a good reaction. This can be a lighthearted thing that you have in your set or this could be a very ominous scary spooky type of thing that you add in. It's very customizable of how you want to put the theme to this trick. 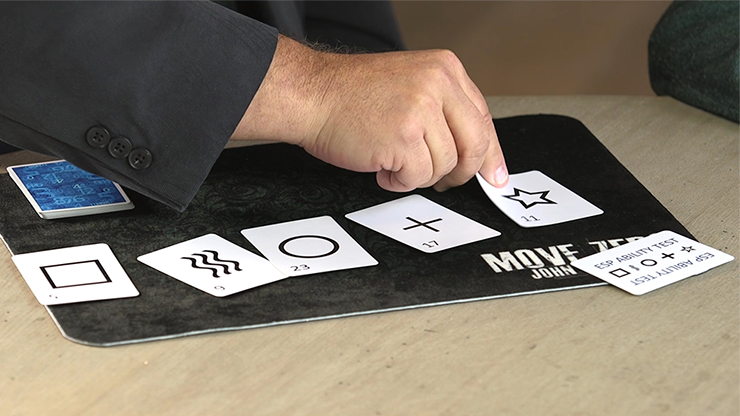 Not only will you get the props, the explanation video for this trick , But you will get also teaching how to do this with regular cards, a little bit different but same concept. 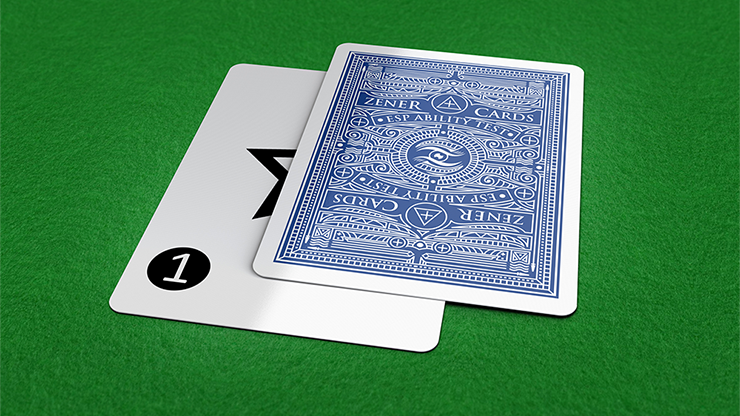 You can do it with any shuffled deck of cards and that's all I'm going to tell you until you see it for yourself :-) John dives down into the roots of how this trick came about and how if you ever don't have ESP by the numbers on you you could always do it with a regular deck but it's not going to be the same kind of reactions because of the phases with ESP by the numbers, however the card trick is very nice to know and great to have in your arsenal. This is a great purchase at such a great price. 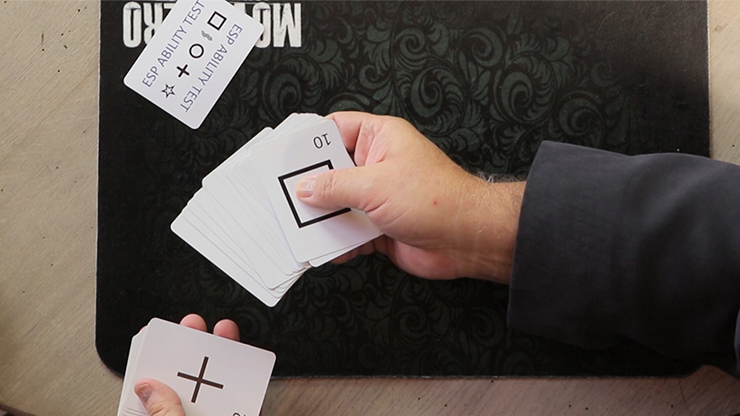 If you like mentalism, close up, card magic and themed effects then this totally for you! The only drawback I will say as I always do with any trick is there's only one outcome and trust me, I am the first person to really not purchase magic that doesn't have more than one outcome especially when it comes to things like this however, I do like buying things that have such power and a memorable experience because that's exactly what this is regardless of if it's going to be the same outcome every time. This is also a multi phase trick so it adds to the more reasons of why any person who is looking for great reactions would get this. I think this is perfect the way it is, if I performed on the street a lot I wouldn't be so worried about tricks with the same outcome every time but because this is so organic and original I can guarantee you that if you purchase this you will definitely be not only using this more than you think but the concept that is being taught will be used a lot more in your arsenal. 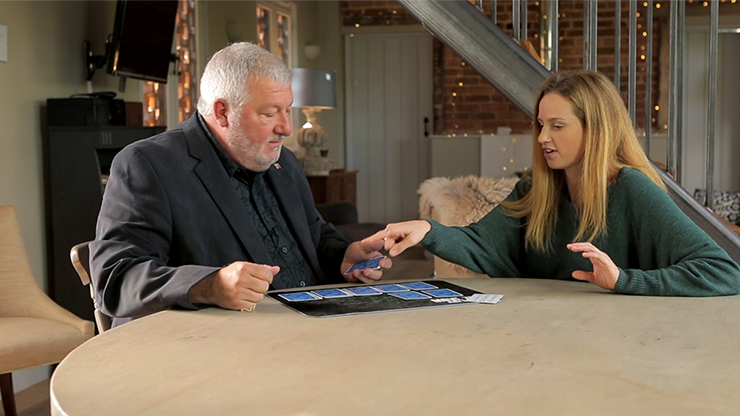 Liam Montier and John Bannon are superb in this video, (Liam is a favorite of mine when it comes to card magic so it was definitely a good thing when I saw them both teaming together!) I strongly recommend you watch this till the very end. A lot of people don't watch the whole videos to the tricks you bye. If you buy this and watch it, it's only 25 minutes you will be knowledgeable about how to work this entire trick but more importantly You will be knowledgeable about the concept as I keep going back to that has this opened up a door for me that I never knew about that really isn't talked to much of until you get your hands on it. I strongly recommend this to you all who have seen the trailer. This is not a sandsminds video. This is the brilliant mind of John Bannon raw, showing you exactly what you will be doing. Get this before it's gone! This WILL sell out, I have no doubt. If you have the money, love what you see get yourself a copy of the greatest mentalism trick I have seen in many many months of true originality that will leave others remembering you. Plus you can also use this with many other tricks and utilities devices. Imagination is yours and click add to cart before they close the doors 🚪!